There are many different ways someone can make an accent wall in a room. 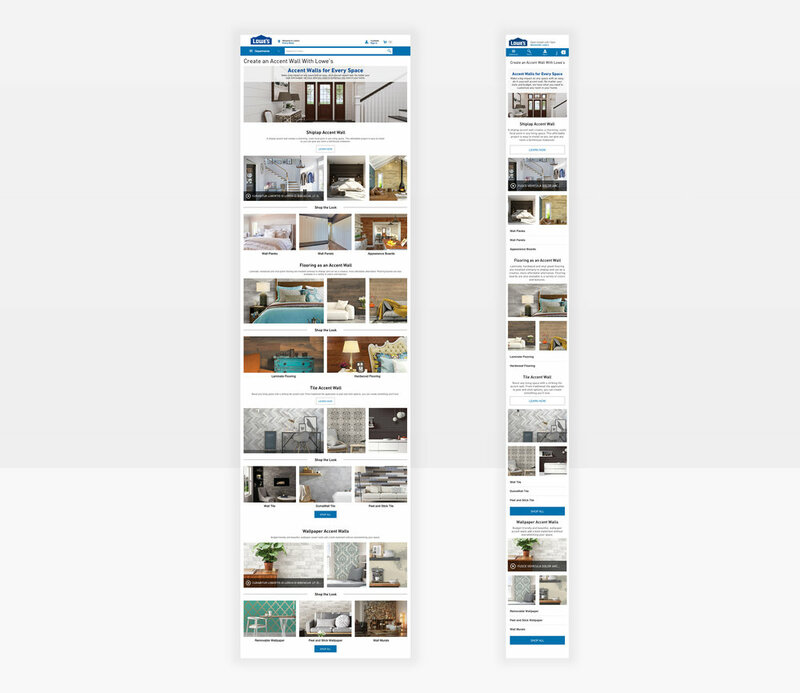 The goal of this landing page was to centralize all the options Lowe’s offers in a way where the customer can easily browse, learn and discover ideas for their future accent wall. Prior to having this landing page, customers would have to dig into each category they were interested in to find the materials they need to get started. I worked with Stakeholders across multiple categories such as: moulding, flooring, wallpaper, painting and tile to ensure that each section was represented in the best way possible. I also worked alongside with a Content Strategist and Copywriter to make sure the right message was being portrayed. 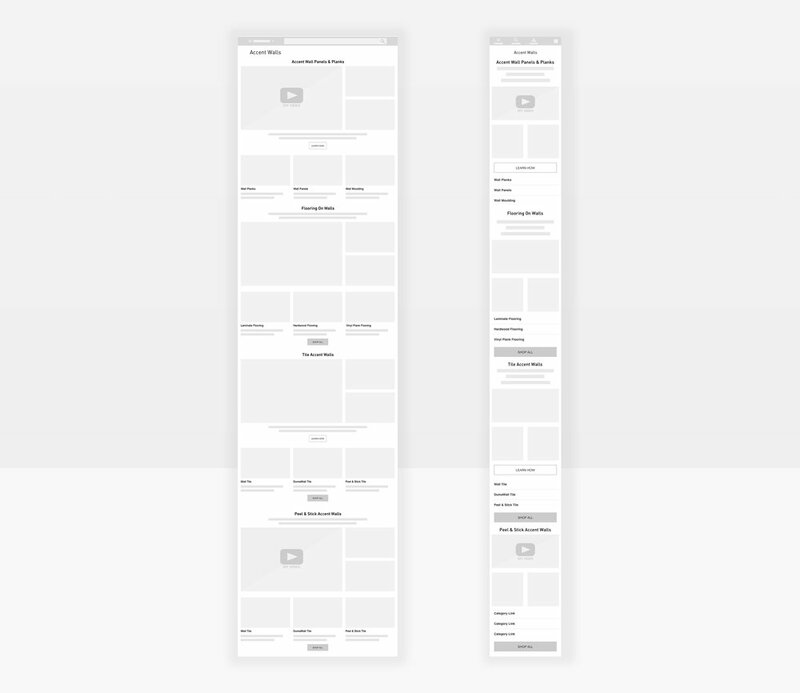 When developing the wireframes for this page, the focus was to group each main category into a section, then providing more detailed options within each category. Wall Panels and Planks is our top searched Accent Wall category by sixty percent, which made no question for why it would live at the top of the page. The other three categories were ordered by search data we collected. The mobile experience could get very long quickly, so creating shop-able CTA lists in place of images allows the customer to easily get to what products they want with out having to scroll and look through a lot of images. The goal for my design was to inspire customers with a variety of images showcasing different wall types within each category. To influence the customer to consider new ideas that they haven’t thought of before exploring this landing page. With each category having different non-product content, some with video content and some without, I wanted to make each section consistent with each other so everything on the landing page has a familiar feel.